Every once in a while the line between divine hope and human hopelessness is brought into clearer focus by a tragedy in life. This story begins in an Amish community in Lancaster PA and ends, for now, in northern Iraq. Steve Lapp’s family had been Amish for as long as he could remember, going back over ten generations to Switzerland. Through a serious accident in 1999, this father of eleven children found both physical and spiritual healing through praying to the Lord of the Bible. This newfound freedom led Steve to tell almost everyone he met about Jesus, a passion that eventually made some in the quiet Amish community uncomfortable. Through a series of events, Steve was eventually shunned by his former brethren. Steve clung to his faith and asked the Lord to give him opportunities to witness for Him. That was early 2005. Mourning the loss of five innocent girls. On October 2, 2006, a tragic shooting occurred at the West Nickel Mines Amish School in Lancaster County, Pennsylvania. A 32-year old gunman (Charles Carl Roberts) entered the one-room Amish schoolhouse and shot ten girls (aged 6–13), killing five. After a standoff with police, he took his own life. News of the tragedy went around the world in a matter of hours. Our whole nation was stunned and horrified. Within 48-hours of the shooting, another story—on the heels of the first story—also traveled around the world. The entire Amish community had forgiven the murderer. The evening of the shootings, several Amish elders went to Mr. Roberts' home (where his now-widowed wife lived with three young daughters) and to the home of his parents to embrace his family and say they held no grudges. One Amish man held Roberts' weeping father in his arms for almost an hour to comfort him. The Amish were also concerned about Marie, Charles’ surviving wife and her children. This account of genuine love and grace was the second story that went around the world in early October, 2006. And that brings us to Iraq. 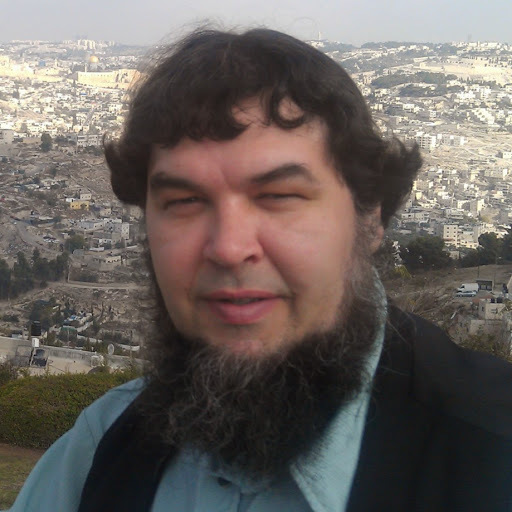 These questions sparked the idea to invite some of the Amish to Iraq to tell their story. This took a while because you just couldn’t pick up your phone and call the Amish in Pennsylvania, or fire off an email to them. But after months of discussing the idea, Steve Lapp and his brother Jacob were invited to come to Iraq. Thus it was, almost a year later—in November of 2007—Steve Lapp and his brother Jacob were on their first airplane flight making the long trip to northern Iraq. They were quickly taken around to clinics, orphanages, hospitals and schools to tell their story of forgiveness. In these Kurdish people, they found a modern counterpart to the Macedonians that Paul ministered to. The story of forgiveness — linked to the story of redemption — has a universal appeal, and these Muslim people listened intently. After speaking about forgiveness, these Amish men offered to pray with anyone who desired healing from bitterness. Many of these Muslims accepted their offer and they spent many days ministering to the Kurdish people. People in the mental health clinics were touched very deeply in their hearts as they heard the message of forgiveness. Many of them, when it came time to go back to the mental wards didn’t have to go anymore because their hearts were set free. The concept of forgiveness was a new thing to most of these people. They aren’t taught this. Then something amazing happened. One morning, several of the Kurdish Muslims came to the Amish brothers and said “I had a dream last night. I saw your Jesus in a dream. He looked at me. And in His eyes, I saw the same thing I see in your eyes.” Faith began to spread among these people. The next stop was meeting Governor Ramadhan of the Kurdish region, and many of his top military leaders. Steve and Jacob were ushered into a medium-sized room where these leaders were sitting down, waiting. This might seem like a strange place to tell the story of forgiveness, but that’s what they did. Steve said “There were a couple Generals whose eyes never left me as I was telling the story of forgiveness. When that was over I told the story of redemption. I told them about Jesus.” The room was filled with silence. After this meeting, God opened more doors for ministry and they spoke with many more military leaders. Steve remembered his prayer when he asked God in 2005 to give him opportunities to witness. “This was beyond anything I could have hoped for” he said. I asked Steve what the Kurdish people were like. He said they were a gentle people, different from the almost endless supply of warlike Muslims that occupy the Middle East. The Kurds were not a hostile people, although they were made the target of violence many times over the last century. Many of the Kurds told the Lapp brothers that if it wasn’t for America, they would be dead from Saddam Hussein. They also felt that the no-fly zone that the American troops established probably saved their lives too. There is a saying among Islam that “Insult is worse than slaughter” and that keeps them from being able to forgive, as they argue over their interpretation of the Koran. Forgiveness is not even taught. Some of the Kurdish children were afraid of the Amish brothers at first—having grown to distrust men with beards and no mustache. But they warmed up to these men quickly after hearing their story, and many opened their hearts to forgiveness. When it came time to leave, the Kurdish children ran to the vehicle to say goodbye to these men they had grown to love. They didn't want them to leave. In September 2014, four Lapp brothers and two other men went back to Iraq to minister to the people there again. This time, the stakes were higher--ISIS was raging across Iraq at warp speed and coming into this same region. Refugee camps were set up for people fleeing from ISIS as well as from the Iraqi government. 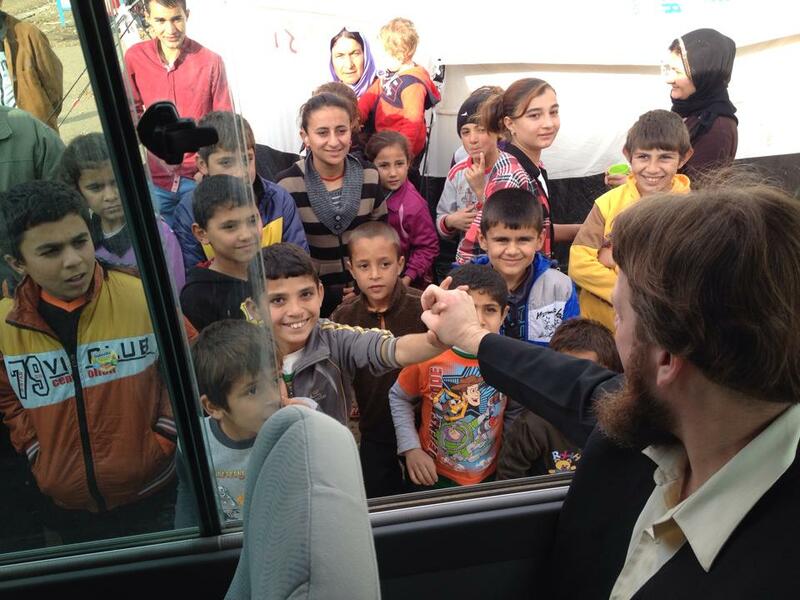 The men went back to Dohuk and began ministering in the refugee camps. People in these camps were eager to connect with God, and many of them remembered the Lapp brothers from 2007. The brothers ministered to the Muslims for about two weeks before they began to hear the sounds of war off in the distance. The sounds got closer as ISIS approached the encampment. “Very well, be ready at 5am tomorrow morning." Mosul, Iraq in the distance. So the next morning on September 15, 2014 they set off towards a mountain. There were 10 people and four vehicles in this caravan. There were four Lapp brothers, Jonas Stolzfuz, one other Amish man and four Iraqi drivers. As they reached the base of the mountain, a helicopter flew them up to the top of the mountain. They walked over to the edge of the mountain and looked down at Mosul. This city used to be called Nineveh in the Bible. They could hear explosions and see the smoke from a dozen fires. The men spent over two hours in prayer. They asked God to protect the Kurdish people from ISIS, and to reveal His glory in Jesus Christ among the Muslim people. Together they asked God to throw back the evil forces of ISIS. Then they were flown back to the encampment before nightfall. The very next day (September 16, 2014) the Kurds retook all of their Christian villages back from ISIS, and the top ISIS military commander was slain by the Kurdish Peshmerga. The ISIS forces suffered very heavy losses on that day. Quoting Steve Lapp “I believe God honored those prayers, and more than that He honored their (Kurdish people) faith to ask us to pray for their region. God is calling each of us to be authentic, wherever we are. You see, salvation is a free gift. However, after salvation, it costs you everything.” If you are not willing to pay that price, you end up faking it."